Hey, what’s going on guys? Alex here. 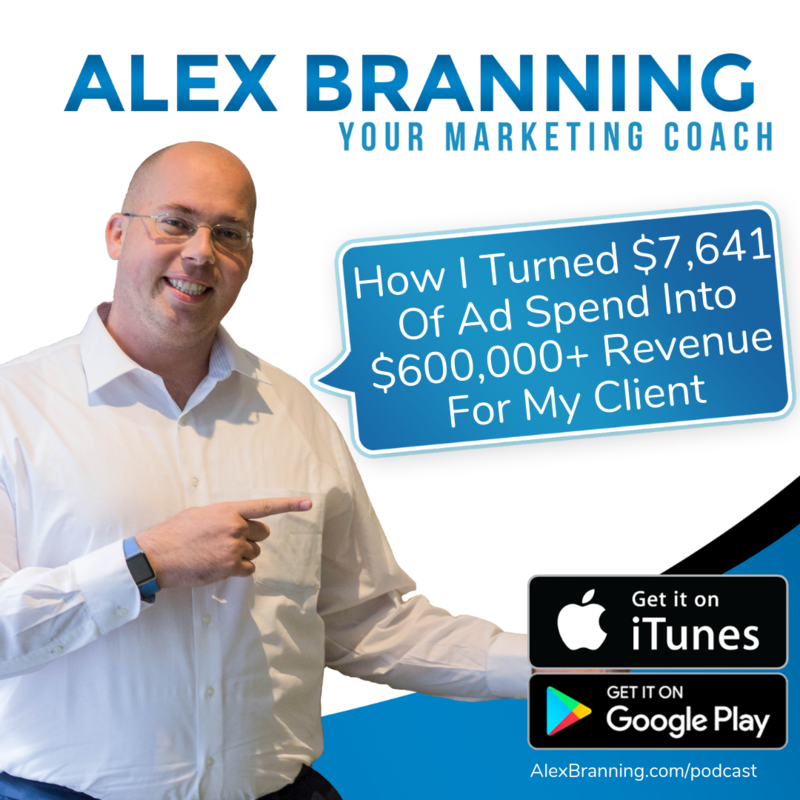 In this podcast episode I’m going to share how I turned $7,641 of ad spend into over $600,000 of revenue for my client, almost giving them a 100X return. Before I dive into my specific ad campaign strategy I want to answer some basics about Facebook Ads. Many people listening don’t understand some of the basics around Facebook Ads, and I totally get that. It is a constantly changing and evolving platform and there are so many different things that you can do, so I’m going to take a few seconds and share some of the basics. Then we’ll dive into why this ad campaign works so good, and then how you can emulate it for yourself. Facebook Ads in general are media, whether it’s single image, a photo gallery or a video. It’s media that you can put directly in front of your ideal client. So you can share either a single image which takes up the entire length of the newsfeed, you can share a carousel, which is a photo gallery that has square images that you can cycle through as a consumer, and you can also create a video, and video ads are so powerful. I will dive into that in detail a little bit later on. The key with Facebook and why it’s so popular is because their audiences that they have are huge and they have a lot of data on you. When you advertise on Facebook the audience that you’re reaching, you can talk to them on the Facebook newsfeed. You can talk to them on Instagram. Facebook owns Instagram and your ads show up there as well. You can talk to them directly in their Messenger inside of their app, and your ads can also show up on the different digital properties that Facebook owns, like the New York Times, et cetera. So when you create your ad you’re able to kind of follow your target prospect around as the browse, which is really cool. You can create multiple types of ads, so you can have ads that send people directly to a web page. Those are traffic ads. You can create an ad that sends traffic to a web page, but it tracks a conversion. So for example if you’re an eCommerce store you can say I’m going to pay for these ads, but I want to know what it costs me per purchase, so you’re able to figure out using the Facebook Ads manager exactly how much you’re spending per purchase and then the revenue that you actually have brought in from that ad campaign, so you can see quickly whether or not it’s working, which is very exciting, a relatively new addition. You can also within the Facebook Ads platform create very lead ads. In other words, there’s a form that pops up right there on the page pre-populated with the user’s information for their name, email, phone number, and their basic contact info, and they can answer a couple custom questions if they want and just send you their information without going to your web page, which is really powerful. It makes it so easy. Those lead ads only work on the Facebook and Instagram platform, but they’re very powerful and it gives you a lot of good leads pretty quickly. Let’s talk about how to make sure that your ad shows up in front of the right person, because that is a huge differentiator between a successful campaign or a campaign that’s just throwing away money. Within Facebook you can target based on region, so you can restrict to the region. You can also restrict to demographics, so like age, their marital status, et cetera. You can restrict based on things like job title, who they work for, what industry they’re in. What really excites me is you can actually narrow it down to people who actually buy online. Like if they’ve completed a purchase online within the last 30 days you can show your ads there. You can also target based on their employment status, whether they are employed, unemployed, et cetera. You can also target based on what they like. 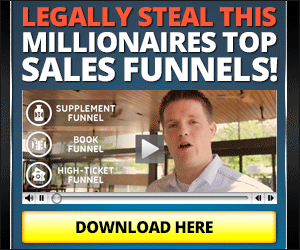 So if there are large Facebook pages, for example if you’re targeting … Like for me, many of my ads go into click funnels, people who who like click funnels, because I talk about that and I want to attract people of like-mindedness to some of my groups, so I can target people who like click funnels. You can layer interests on top of each other. So for example just let’s go right into the really profitable campaign, so we can layer interests on top of each other, which means that I can have an ad that targets people in a geographic area. I can then layer on top of that, I say I only want this showing to people who like cooking. Then I can layer on top of that and say I want to narrow the audience even further, so I want to make sure this only goes to people who like cooking and they’re an engaged shopper online. So now I’m able to really, really hone in and make sure that my ad is going to the right person within the area that I can serve them. It’s going to someone who’s interested in a product that I have and they’ve purchased online. So the ad campaign that we used where we turned $7,641 of ad spend into over $600,000 of revenue was for a paid college, so it’s a college where people can register for college and get a certificate in nursing and other medical fields. So for them every person that signs up is a five-figure revenue, so that’s pretty cool. So for this one of the key things with the Facebook ad campaign is making sure that the leads that you generate are things that will be profitable quickly, because if you’re selling something that is say $30 or $50 you need to make sure that the sale price comes in at a point where it’s more than covering your margin, right? You don’t want to lose money on a Facebook ad campaign. So for them, because they had such a huge amount of revenue come in per person, they were able to spend a lot more. We were able to figure out pretty quickly which ads were working and which were not. When we create ads we typically follow a four by four formula, which means that we create four ads, different ads, for four different demographics that we believe would be interested in the product or the service that we’re offering. For this client we actually went even more. We did a lot more. We actually created 50 different ads, which is way more than the typical 16. So we created 50 different ads and we were able to scale up really, really fast, so we were iterating almost daily while we were getting started, which was crazy and a little bit stressful, but it ended up working really, really well because we found a couple ads that were just nailing it and we were able to dramatically increase the budget, we were able to turn off the ads that were not working, and we were able to make some tweaks based on some feedback that we were getting from our client so that we could make sure that we got enough information to qualify the lead, and we were able to set them up for immediate followup. So one of the things that I recommend that you do as you’re working on setting up your Facebook ad campaign is number one, don’t put all of your eggs in one basket when it comes to your ads. It is very important for you to make sure that as you are setting up your ads that you are not relying just on one graphic or one ad copy to be successful, because sometimes the things that we put the most stock in on the Branning Group, because we do the four by four, so we have a lot of different ads running, and the ad that we think is going to perform really well flops and the ones that we kind of throw in on a whim that are maybe a little bit more random do really, really well. I’ll share another example of an ad campaign that just shocked me. So we were hired by a company to generate leads for oil investment, which is just like this crazy weird niche, right? They said we are going to be ecstatic if you can generate up to, you know, two leads a week. And when we first started we had a really hard time hitting that, I’ll be honest with you, but we did get the 10 leads in that first month and they were excited and we were happy. I made a note, we made a quick ad that highlighted now that President Trump was in there we think oil is about to hit it big, and he went from one lead per day to five. Isn’t that amazing? We just tried it, it was an experiment, and it worked really well, so sometimes experimenting works good. Even sometimes memes have been our best eCommerce ad. I hope this was helpful. I have some resources I’d like to share with you. We have Facebook Ads 101. 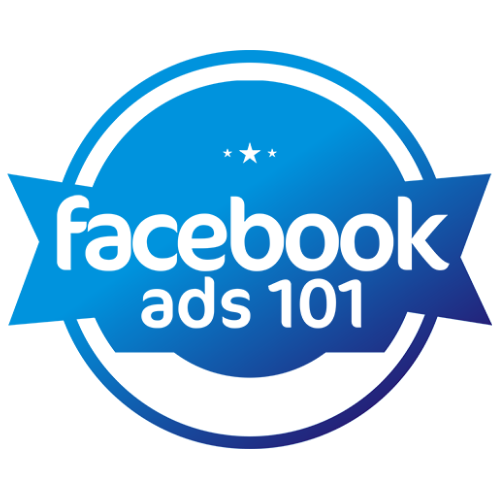 In that course we dive deep into Facebook Ads. We share a lot of what we’re doing, exactly how to target, how to set up ads, how to create graphics that attract attention, some copy tips. You can get it at fbads101.com, fbads101.com. In that course you’re going to see some of our ad campaigns that have worked really, really well. You’re going to see some of the different ways that we create graphics and video. We dive into our new advertising method, which it’s not new in the sense that we’ve created it. It’s new in the sense that we’ve figured out a system. We call it the video domino, which you’ll learn more about in Facebook Ads 101. We also have monthly training Q&A, so every single month. You don’t have to pay for it. If you buy Facebook Ads 101 you get access to the monthly training. We go live, so we share some of the stuff that we’re learning and then we just answer questions about Facebook ad campaigns. So I highly recommend that you check it out, especially if you’re a business owner or an agency owner and you’re struggling making Facebook Ads work for you. Go to fbads101.com and you can learn all about what we do for our clients, how we set everything up. We don’t hold anything back. There’s probably about 20 different modules in there, a lot of bad examples, and like I said, you get the monthly training as well, so it’s hugely beneficial, very valuable. Go to fbads101.com to grab it, and if you have any questions specifically feel free to reach to me. I’d love to help you. I am here for you. I want your ads to work, so shoot me an email, alex@branninggroup.com. Again, Facebook Ads 101, fbads101.com.